Philosophy for busy people. Listen to this succinct account of the philosophy of Kant in just one hour. Immanuel Kant taught and wrote prolifically about physical geography yet never travelled farther than forty miles from his home in Königsberg. Appropriately, his philosophy strenuously denies that all knowledge is derived from experience, insisting instead that all experience must conform to knowledge. Kant's aim was to restore metaphysics. According to Kant, space and time are subjective; along with various 'categories,' they help us to see the phenomena of the world - though never in its true reality. 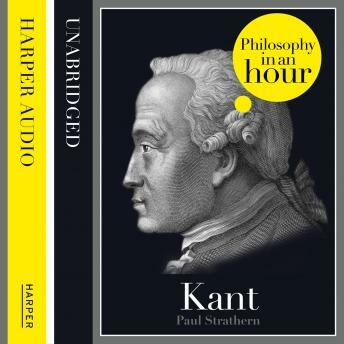 This audiobook is an expert account of Kant's life and philosophical ideas - entertainingly written and is above all easy listening. Also included are selections from Kant's work, suggested further reading, and chronologies that place Kant in the context of the broader scheme of philosophy.